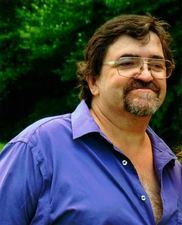 David Edgar Hale, 50, of Floyd passed away on Thursday January 24, 2019 with his family by his side. He was an Upholster for 30 years and a Washington Redskins fan. He was preceded in death by his son Timothy Hale and brother Carl Hale. He is survived by his daughter and son-in-law: Amanda and Nathan lynch; parents: Edgar and Vannie Hale, brothers; James Hale (Tammy), Amos Hale (Kathy), sisters; Becky Owens (Charlie) Martha Beckner (Tim) beloved canine Bella, along with many nieces and nephews. Funeral services will be held on Sunday January 27, 2019 at Gardner Funeral Home at 2pm with rev. Mark Spencer officiating. Interment will follow in Restvale Cemetery. The family will receive friends from 12-2 on Sunday January 27, 2019 prior to the funeral services. In Lieu of flowers the family has requested that donations be made to Gardner Funeral Home to help with funeral expenses.